Des Plaines, IL, WPH Press, 12/30/17- The 62nd Annual USHA National Junior 4-Wall Championships highlighted the last week of 2017 in Des Plaines, IL with 87 boys and girls handball stars from across the U.S., Canada, and Ireland competing for the prestigious national trophies. 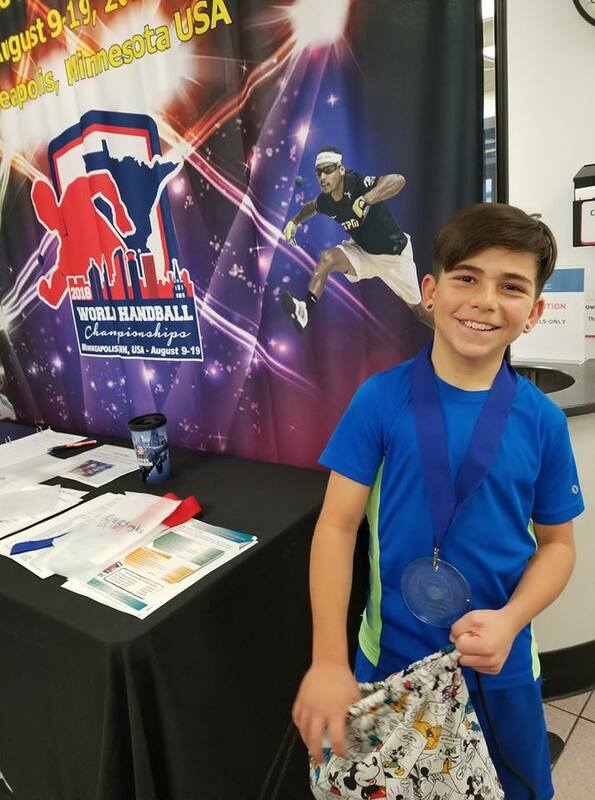 Freezing Illinois temperatures could not stop the action-packed week of junior handball, as future stars etched their names in junior handball history. 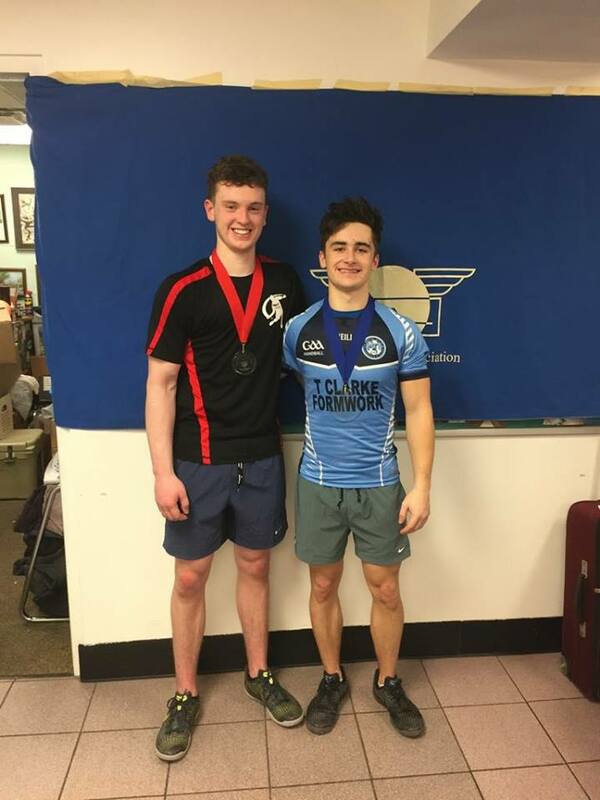 Irish junior stars Tadgh O Neill and Sean Kerr ousted the 19 and under bracket’s top two seeds in the semifinals, as O Neill defeated defending champion Anthony Sullivan in the upper bracket semifinals and Kerr survived San Francisco’s Coleman McGrath after being just three points from elimination in the second game. The Irish stars split the first two games in the final, with Kerr able to regain the momentum in the match after dropping game two to control the action in game three to hoist the trophy. Kerr was unable to slam the 19’s, as California’s Sullivan and Luis Bustos defeated Kerr and O Neill in two close games to win the 19 and under doubles. 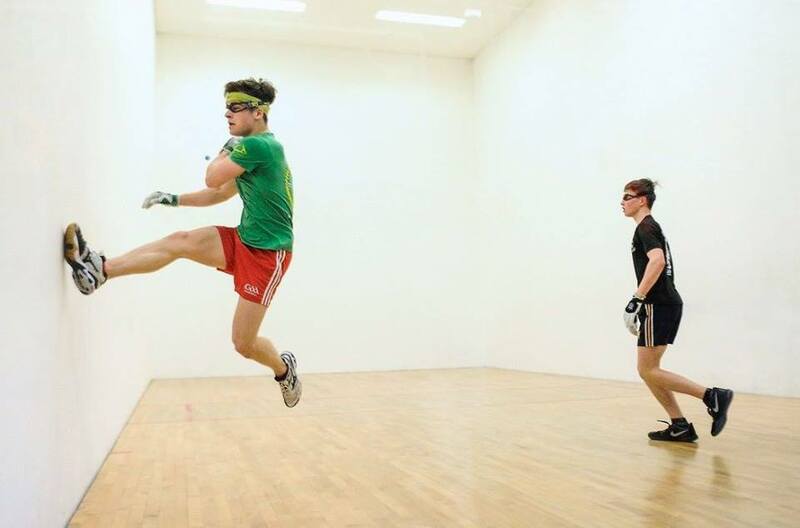 Ireland’s Michael O Malley cruised to the final in the upper bracket, while Canada’s Alex Carew was dominant in the bottom bracket to meet O Malley in the final. Carew edged O Malley in a close first game in the final, but O Malley took control of the match after game one, allowing Carew to score just 10 combined points in games two and three. 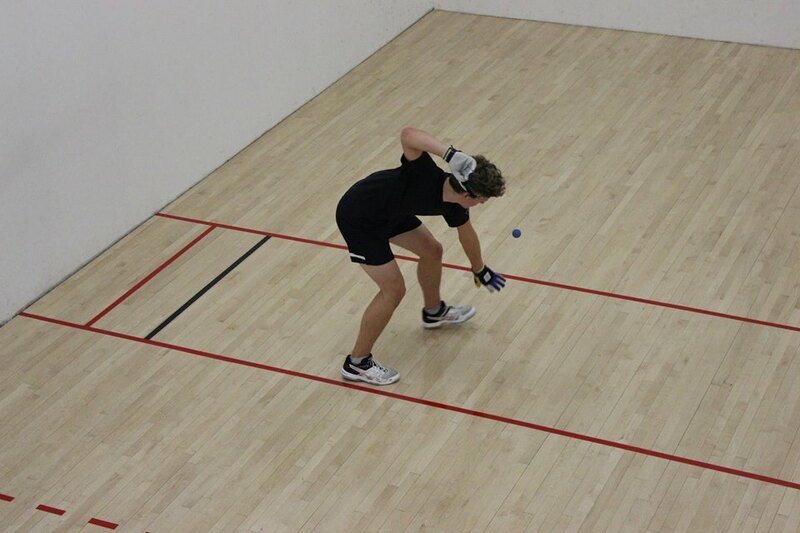 Ray Ure was the class of the 15 and under bracket, as he decimated the field on his home courts. Ure outscored his three opponents 126-26 en route to the title, including an impressive two-game sweep against his California rival and doubles partner David Sanchez III in the final. Ure and Sanchez clinched the doubles, defeating Adam Perez and Oliber Bustos in the final. Minnesota’s Zach Wells and Nathan Stoffel faced one another for the 13 and under crown, just as they had two years ago in the 11 and under bracket. The friends and frequent practice partners played a close first game, with Wells edging his frequent partner in game one and running away with game two to win the title. Stoffel and Wells teamed to win the doubles, defeating Ayden Brule and Abraham Sanchez in the final. Tucson’s Ayden Brule earned his 10th national title at the age of 11 by winning the 11 and under singles, as the Tucson prodigy was never threatened in any of his three matches en route to the title. Ireland’s Megan McCann produced the most dominant singles performance of the event, outscoring her three opponents by a combined 126-12 en route to a dominant title. Illinois’ Rimata Halbi won two thrillers en route to the 13 and under national title, overcoming Ella Gantley in an 11-6 tiebreaker in the semifinals and Saoise Kelly in an 11-10 tiebreaker in the final. Wow! Thank you to the USHA for a great week in Des Plaines! Log onto wphlive.tv, Like the World Players of Handball on Facebook, or follow the WPH on Twitter @dfwph and @wphlive for all of the handball news from on and off the court! The World Players of Handball is a non-profit foundation aiming to grow the game of handball through innovation and inspiring the next generation of players through junior clinics with Certified WPH Coaches, junior tournaments and the Race 4 Eight and WPH Outdoor tours.